Two games flew by in upstate as Adam Hall and his Aberdeen IronBirds teammates and Hudson Valley Renegades faced off. Aberdeen lost game one on a controversial call, but took the second with a 4-2 win. Game One saw Hector Guance and Easton McGee were dueling starter in game one. Both went six innings and only one run scored in the entire game. It came on an infield basehit for Tyler Frank and Jordan Qsar's RBI double got it done. From there absolutely nothing happened. Guance allowed just two baserunners until the 5th. In that inning three would reach but Cody Roberts caught Michael Smith stealing. Jean Carmona doubled with one out in the 7th and moved up to third on a J.C. Escarra fly out. Aberdeen was down to its final out, but the game tying run was at third. Carmona came home on a ball passed the catcher Chris Betts. A play at the plate would end the game, with Carmona called out. Manager Kyle Moore argued the call which was controversial across the board, but the game ended in a 1-0 win for Hudson Valley. 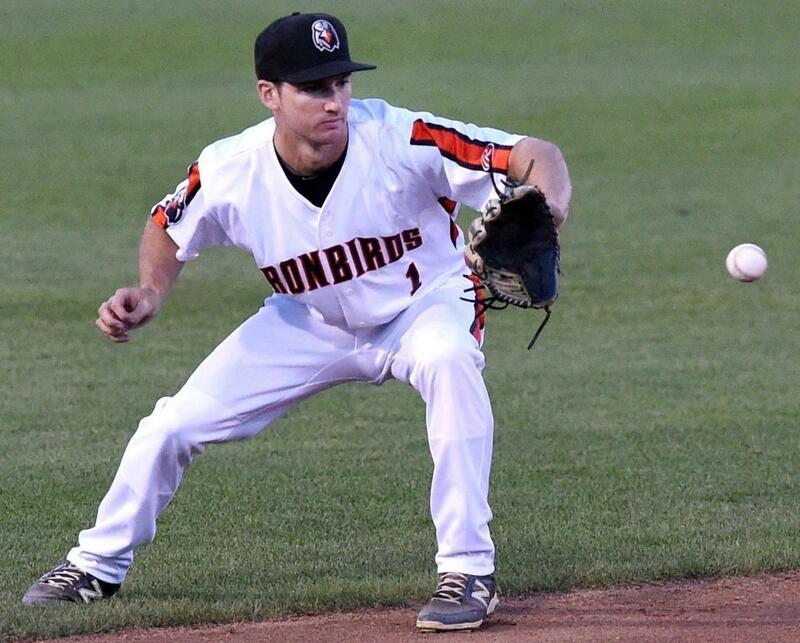 In Game Two a frustrated IronBirds crew struck first in game two. Hall and Carmona would both single, with Roberts driving in Hall on with a double. In the second the runs continued with a Guyien Xu single, Hall's second hit and Carmona's two RBI double. 3-0 'Birds through two. Aberdeen got another in the third. Irving Ortega drilled a triple and scored on an error to make it 4-0 at the half way point. Hudson Valley answered with two in the bottom of the inning. Gray Fenter gave up a double, a walk and an infield base hit. Bryce Brown scored on a fielders choice, and an error brought David Parrett home to make it 4-2.